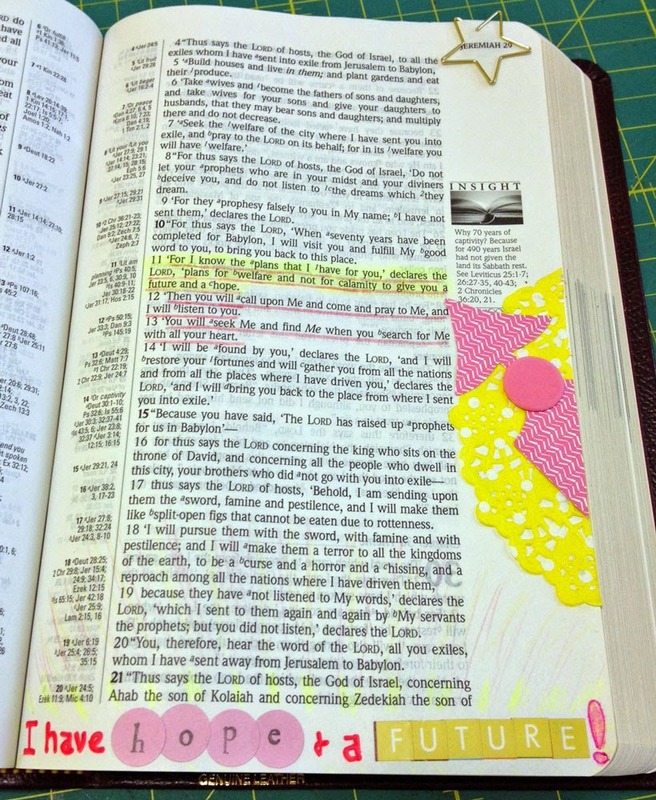 I think adding notes and bits of creativity to your bible is a fabulous idea! Someone in the future will definitely value it! 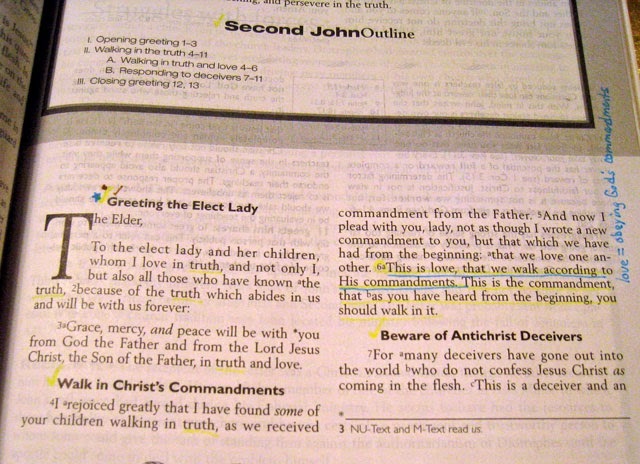 I have a beautiful annotated Bible given to me by my family many years ago. I cannot bring myself to underline or make notes in it. I use sticky notes instead. Oh, I think I need to look into a journaling Bible, as I would never write in a Bible, or any book otherwise. If it wasn't printed to be a workbook, I can't bear to write in it. In the UK we don't have journalling bibles or even bibles with large margins, or so I thought. But I found one recently and I've signed up to the big picture classes, as this really speaks to me. 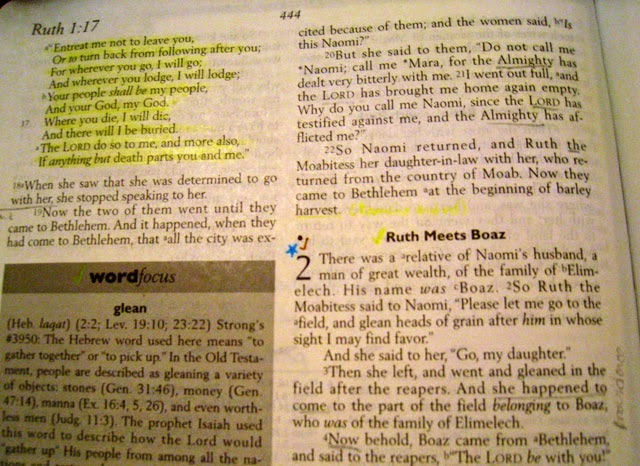 I highlight and write in my Bible, it's a Couple's Devotional Bible. It's a bit ragged but I can't imagine transferring all the notes, thoughts and highlights! I have to admit I was appalled at people writing in their Bibles when I was younger. Thank goodness I realized it's my guidebook and owner's manual ;) The idea of a journaling Bible does interest me, though...but I'd probably fall back to the old one. You know what they say...A well worn Bible is a sign of a well lived life.